Type: Mitsubishi MK4A Kasei 11 o vzletovém výkonu 1 125 kW (1 530 k), 1 037 kW (1 410 k) v h= 2 000 m a 986 kW (1 340 k) v h= 4 000 m.
driving three-blade Hamilton-Sumitomo CS-3B metal constant-speed propeller of 11ft 1,86in diameter. Bomb load: Up to 1,764 lb, carried on underfuselage hardpoints with a total rating of 1,764 lb. General disposables load consisted of: up to 1,764 of free-fall bombs or 1,764 lb torpedo in stead of bombs. Spojenecké kódové jméno: Betty. 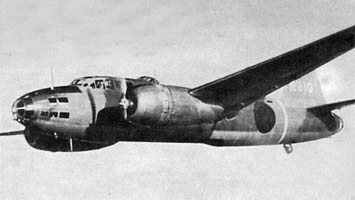 一式陸上攻撃機 / Ichishiki rikujō kōgeki ki, Isshikirikkō, contraction 陸攻 - Rikkó / Type 1 Model 11 land-based attack aircraft. Tagaya Osamu, Mitsubishi Type 1 Rikko Betty Units of World War 2, Osprey Combat Aircraft 22, London, UK, Osprey Publishing, rok 2001, ISBN-10: 184176082X.